Founded in 2010, The Avi Schaefer Fund is dedicated to empowering young people to be change makers in the world. 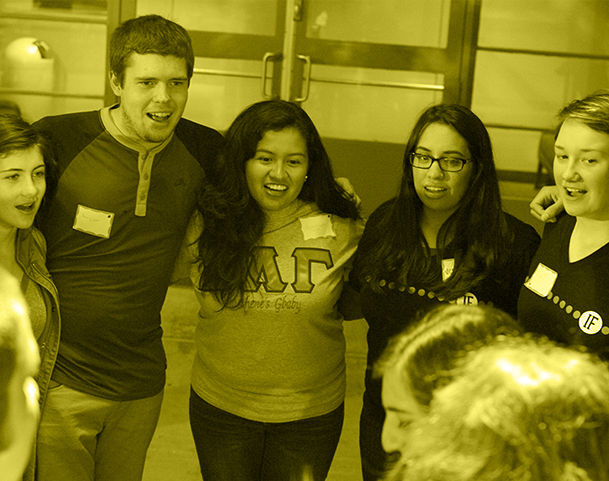 Our focus began on the college campus, as that was one of the places where Avi made a significant impact. Since then we have expanded our programs to engage young professionals and the general community. Our work continues to be strengthened by our partnerships with many organizations, enabling us to expand our reach and increase our impact. The Avi Schaefer Fund (ASF) is dedicated to nurturing Avi’s values of mutual respect and understanding through cultivating opportunities for informed dialogue and by empowering young people to be change-makers in the world. Before his tragic death, Avi was involved in a variety of projects to promote understanding and peace between Israelis and Palestinians. His passion for this work stemmed from a deep, abiding love for the Jewish people coupled with a commitment to the safety and security of the State of Israel and of all people in the region. Avi believed deeply in the possibility of forging a lasting peace between Israelis and Palestinians . His open heart and generous spirit shaped him into a compassionate and empathetic human being. The Fund will be guided by Avi’s memory as it develops and supports projects that work toward the fulfillment of his dream of peace. “Everybody dies, but not everyone truly lives.” Avi truly lived. Avi’s life came to a tragic end on February 12, 2010, when he was struck by a drunk driver while walking home to his dormitory at Brown University. In the short 21 years of his life, Avi managed to accomplish much and left his mark on the hearts of many. Thousands across the world mourned Avi’s tragic passing. Avi, along with his identical twin brother Yoav, was born on June 11, 1988 in Los Angeles, California to parents Rabbi Arthur Gross-Schaefer and Laurie Gross. The family moved to Santa Barbara in 1990 where Avi became an active participant in the Jewish community. Throughout high school, Avi engaged in Israel advocacy, and took it upon himself to organize programs, write op-ed articles, and educate the greater community on behalf of the State of Israel. He actively participated in his Jewish youth group on both a regional and national level, serving on NFTY’s Southern California regional board. 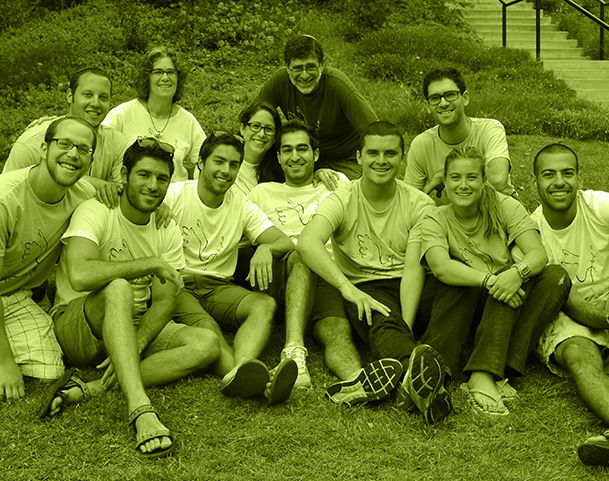 Avi spent his summers at Jewish summer camps both as a camper and later as a counselor. 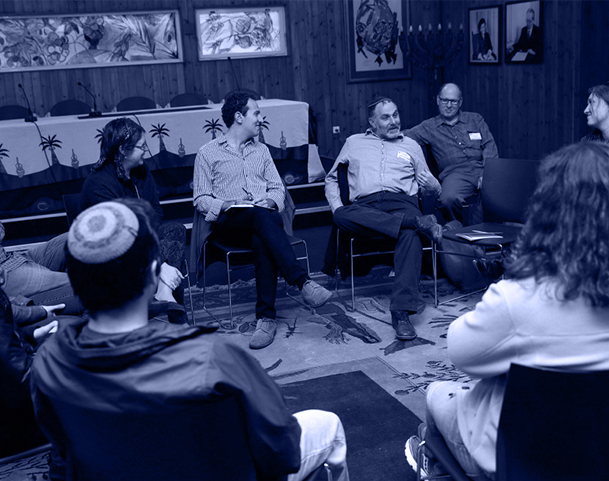 He believed in the importance of community, and volunteered his time weekly to work with elderly, and created and taught a class to educate local Jewish youth on Judaism. Avi was an enthusiastic rock climber and accomplished martial artist, holding a black belt in Kung Fu. Avi had an expanded worldview and an appreciation of different cultures, which he gained through his experiences as a high school student in Israel, and traveling throughout Europe and North Africa at age 17. At age 18, Avi along with his brother Yoav, left home and moved to Israel, volunteering to serve in the Israel Defense Forces. Avi served for three years in the army as a lone soldier, having no immediate family in Israel. He was accepted into a Special Forces combat unit, and underwent rigorous and demanding physical and mental training. Avi later served as a counter-terrorism instructor and trained Israel’s most elite units. He quickly distinguished himself as an outstanding soldier, earning the respect and admiration of his superior officers. Avi felt that it was his duty as an American Jew and dedicated Zionist to serve in the army and protect Israel’s borders and citizens. Moreover, he saw the army as the best way to acclimate to his new life in Israel as a new citizen. Upon completion of his army service, Avi was accepted to Brown University in Providence, Rhode Island. In the summer of 2009, he left Israel to pursue a degree in International Relations and Middle East studies. As a freshman at Brown, Avi was committed to the pursuit of peace in the Middle East and actively sought to change the atmosphere towards the Israel-Palestinian conflict on campus. Motivated by his father’s words that, “an enemy is someone whose story you have not yet heard,” Avi engaged in dialogue and understanding between Israelis and Palestinians. Avi eagerly offered his services to the Providence Police department, utilizing his army skills to train the SWAT team. 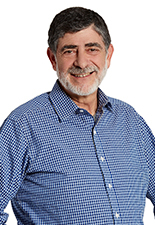 Avi became a natural leader and role model for the Brown Jewish community in advocating for Israel, while simultaneously reaching out a hand for peace and reconciliation. Avi sought to prove that he was a “soldier for peace” and saw no contradiction in fighting for Israel’s security and building peace. In an open letter to the Brown Daily Herald, Avi wrote, “I went to the army so that my children will not have to- a dream I fear may not come true.” Fun-loving and outgoing, Avi made friends throughout the Brown community, sharing his passion for ideas and change with everyone he met. His beliefs and his actions were never at odds; rather, he constantly strove to integrate his principles with his actions. After the catastrophic earthquake in Haiti in January 2010, Avi organized a Party for Haiti, raising $5,000 to be donated to IsraAID’s efforts in the devastated nation. Always integrating his passion for Israel and Jewish life with his passion for community, friendships, and social justice, Avi was a living testament to his own ideals and an inspiration to those who remember him. 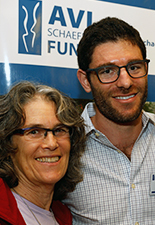 The Avi Schaefer Fund was created by our family to honor Avi and keep his memory alive. The Fund enables our family to have a continuing interaction with Avi and hear his voice as a guide and inspiration in our everyday lives. As we support the Fund’s objectives in various ways, we are able to express our grief and sense of loss in a positive format that gives increased meaning to Avi’s life and to our own. The Fund offers us a vehicle to tell Avi’s story, and thus allows Avi to make a continuing impact in the world. Faced with the tragedy of our loss, our family has made a commitment to work together for a common goal and in doing so the Fund gives us a shared, positive focus and helps make our family stronger. Dr. Gross Schaefer’s diverse education is enhanced by his practical experience from practicing both law and accounting, and serving as consultant to various organizations. He is a full professor of business law and ethics at Loyola Marymount University where he has taught for over thirty years. He has received numerous teaching awards including the prestigious award as teacher of the year for the university. He is currently the co-chair for the department of business law and Marketing. He is also the past president of the Pacific Southwest Academy of Legal Studies. He speaks around the country for State Bar Associations and State CPA Societies on professional and personal ethics. He has acted as a consultant to the California State Library System in the area of immigrant education and diversity and to the California Three R’s Project on issues of legal resource centers, religion in the public schools and immigrant education. He also consults with law firms, hospitals, non-profit and profit based organizations on issues of effective ethical decision making and values audits. He was the advisor to the LMU Peace Corps Project, an investment banker, and serves on many community organizations. He publishes and speaks on a diverse number of topics including academic freedom, professional ethics, spirituality in the workplace, issues surrounding burnout for attorneys, clergy and business professionals. His wife, Laurie Gross, is an internationally known artist and liturgical consultant. He views his sons as his university. Laurie Gross is a nationally known artist recognized for her extraordinarily inspiring and spiritually based work. She reaches into biblical text and her Jewish tradition to create works embodying universal themes and rich metaphors. Much of the creative inspiration for her work is to be found in liturgical text and midrashic material. Her studio has expanded over the past few years to include a staff of other creative artists who, together as a team, are involved in creating some of the finest work that is currently being designed for synagogue worship environments. Seven of the studio’s synagogue projects have received national awards from the American Institute of Architects and The Interfaith Forum on Religion, Art and Architecture in the area of religious art. Laurie’s work has been exhibited at many of the Jewish museums throughout the country. Her work is included in the collections of The Skirball Museum, Los Angeles, and The National Museum of American Jewish History, Philadelphia, Pennsylvania as well as in many synagogues and private collections. The focus of Laurie’s current work has been the worship environment of the synagogue. Her projects have included ark doors and curtains, torah covers, eternal lights, art glass windows, donor and memorial walls, and site-specific sculptural pieces. It’s possible to visit Jewish communities in New York, Boston, Nashville, Houston, San Diego or Los Angeles to experience the studio’s contribution to the contemporary worship environment. Elisha is the oldest of the Gross-Schaefer boys and is a member of the Avi Schaefer Fund’s Board. He holds a degree in theater from Vassar College and has embarked on a career in the arts, working as a set designer, a photographer, and, recently, as an associate with his mother’s art studio designing synagogue and other worship environment-related projects. Elisha has also had the honor of serving as High Holiday Cantor to several congregations, most notably alongside his father at the Community Shul of Montecito and Santa Barbara. Elisha shares with his family a deep love of Israel and Israeli culture, expressed through a lifelong relationship with Israeli folk dance. He is on faculty at de Toledo High School in Los Angeles where he teaches Israeli folk dance and technical theater. He does all the set design and leads a team of trained high school assistants in the building of all the school’s theater productions. 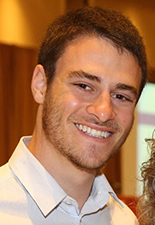 Originally from Santa Barbara, California, Yoav made aliyah to Israel in 2006. After a quick stint in the IDF, he worked in various professional capacities relating to Jewish education, Israeli politics, and the Israeli – Palestinian dialogue. Yoav recently graduated from Harvard University, where he studied political and social theory and intellectual history. 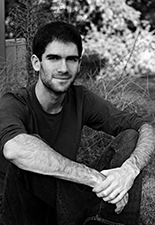 Yoav now lives in Israel, where he studies Jewish philosophy at Tel Aviv University. He writes and speaks regularly on issues related to Judaism, Israel and the Israeli – Palestinian conflict. 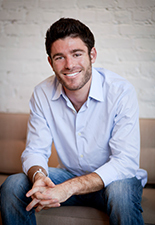 Noah is the youngest of the Schaefer brothers and the youngest member of the ASF’s Board. He spent his high school years in Santa Barbara, Israel, Hawaii, and Costa Rica. Upon completion of high school, Noah took a gap-year during which he spent a semester backpacking, rock climbing, white-water canoeing, and slot-canyoneering in the Rockies of Wyoming and Utah with NOLS (National Outdoor Leadership School). He then went on to volunteer on the ambulances in Israel serving with Magen David Adom in Jerusalem. 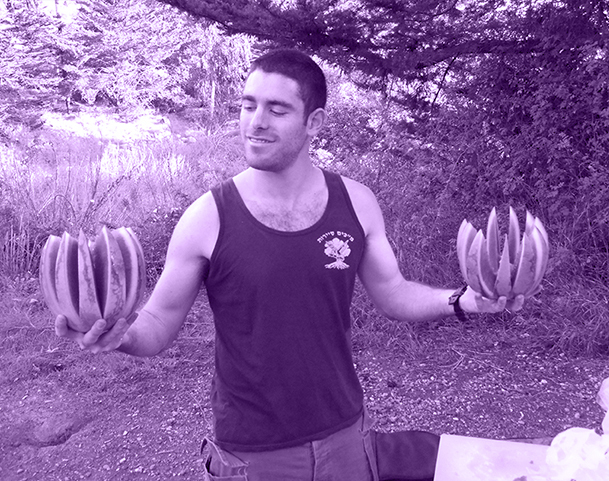 Noah is currently studying Outdoor Adventure Leadership at Ithaca College in New York.